Spot it! 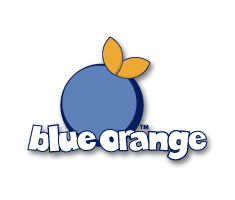 is one of the most beloved Blue Orange games – a high-energy experience where players race to spot the matching image between two (or more!) cards. We regularly organize Spot it! tournaments when we go out to community events at game stores and trade shows, and everyone has a blast as they compete to be the Spot it champion! So, I thought it would be a great idea to share our resources with you, so you can run your very own Spot it! tournament at home. All you need to do is print out the two pdfs (the bracket) (the certificate) then grab a copy of Spot it! and 12-16 players to compete. To start things out easy, begin the tournament with the Twins variant from Spot it Jr Animals. It’s one of the most straight forward variants, and a great way to get into the spirit of the tournament. It’s also one of the fastest ways to play, which will help round 1 not get bogged down by the number of players. Once you have the winners from your each group, add their names to the round 2 spaces and choose your next way to play. Since there will be fewer players at this point, I’d choose a slightly longer variant – Triplet (a slightly more challenging variation of Twins). And it’s more fun for other players to watch, because the cards do not go by as quickly, making it’s easier to watch what is going on. You can either play in one group of all the remaining players or two groups of two. Either way, the top two players will advance to the final round. Now that you have your 2 finalists, you should pick one of the longer variants (either the Well or the Tower). I prefer the Tower, because you can see the stack of remaining cards dwindle as the game goes on, which adds a dramatic flair to the conclusion of the tournament. When you have determined the winner, write their name on the Winner Certificate (print it out and date it ahead of time) and then it’s time to celebrate!! a bunch of our neighbors play together with our kids but these score boards and certificate are cute. Thanks! I will bring these to the party tonight. I was looking for some great ideas for all ages. Thank you.